Hunan, China – A recent fossil discovered in China places humans in the Asian continent 20,000 years before the commonly accepted date for the African human migration. 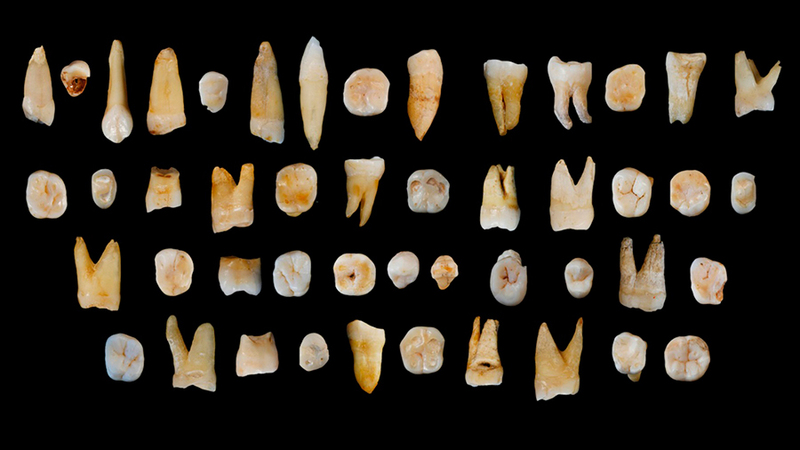 The group of researchers found in Daoxian a trove of 47 human teeth which belonged to Homo sapiens (anatomically modern humans) who according to evidence-sustained archeological theories, didn’t exist in Asia at that time. “They are from 30,000 to 70,000 years earlier in China than it was generally accepted that our species would have reached this region,” wrote study co-author María Martinón­-Torres in an email to The Christian Science Monitor. The traditional narrative of humankind peopling of the globe began by our species dispersal from Africa, who crossed the Red Sea via the Bab el Mandeb straits, taking advantage of low water levels. That diaspora is the one believed to derive all existing people today. The discovery by a research group in Daoxian contradicts the strong evidence supporting a dispersal from Africa 60,000 years ago. Experts like paleoanthropologist Wu Liu of the Chinese Academy of Sciences’ Institute hope Daoxian human fossil discoveries will make people understand that East Asia is one key area for the study of the origin and evolution of modern humans, as reported by the Los Angeles Times. The study, published Wednesday in the journal Nature, raises questions to be addressed in future research, using both genetics and fossil records.